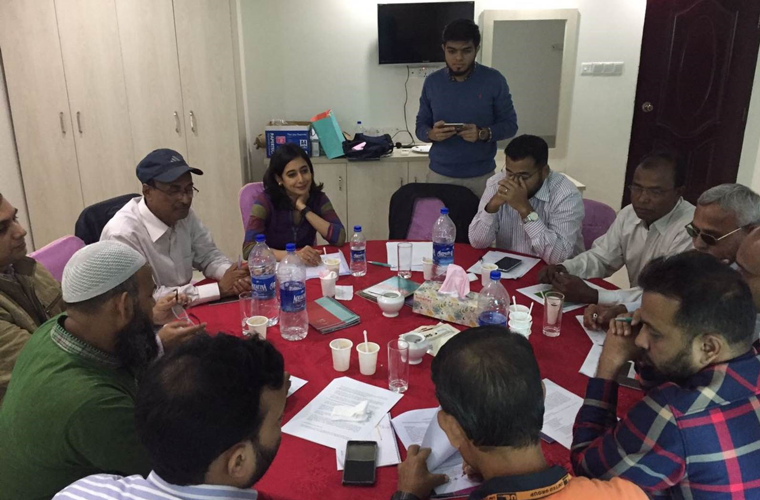 CAO facilitates a joint mediation session in Bangladesh between community and company representatives to discuss issues and potential solutions to address a complaint about a power plant, Ashuganj, Bangladesh, December 2016 (CAO). CAO concluded mediation and monitoring work in Bangladesh this year after implementation of agreements that addressed community health concerns related to a gas power plant supported by IFC. A group of plant workers and their families filed a complaint to CAO in May 2016 regarding the plant, which is operated by United Ashuganj Energy Limited (UAEL). They raised concerns about noise and steam emissions from the plant, as well as hazardous waste and storm water management. CAO mediated an agreement, which was reached after six months, and then monitored outcomes for nine months before closing the case. The community and company expressed their satisfaction with the CAO process and how it helped them overcome communication barriers and identify practical solutions. Read CAO’s Conclusion Report for more information about this case.